What is a security breach? With reference to Information Technology, security breach is an incident where an attacker misuses your data access, system or network in a manner that it affects your organization’s operations. Privacy and data breaches are horrible experiences for organizations as such incidents de-fame their brand name, decrease customer loyalty and result into revenue loss. Let’s look on important points that can prevent such incidents from happening. First and foremost, change your default passwords immediately. It’s very shocking that people still use their default passwords and do not care to change to secure their own accounts. Attackers take advantage of such situations and exploit your information. The best way to stop it is by changing default passwords as soon as possible. It is recommended to create a strong password by using a sentence that you can remember easily, for example- “youvegotmaids”. It’s easy to remember and will give a hard time for hackers to breach security. Reusing passwords makes it easy for hackers to get into your systems. How? As soon as they know your old or regular username/password combination, they will use it everywhere possible. Therefore, it’s always safer to avoid using old passwords and keep changing passwords timely. The practice secures your IT assets in a better way. Follow security practices in every department beginning from HR to operations. Make sure that processes like employee exit strategies, data storage policies (both on- and offsite), remote project control and many more should be evaluated properly. At time of attacks, you should have a complete data recovery plan to recover your organization’s data quickly. Moreover, such plans should be shared across management structure to educate them about the steps taken at the time of calamity. A good system administrator regularly checks system logs. Security logs in precise are a critical element of IT security. The administrator should audit security logs regularly without a miss. It is mandatory to scan your network regularly to identify rogue equipment in your network. You can use software like NetView or just use the net view command to scan your network. Though encryption is widely accepted as a strong method of securing data in an organization, capable hackers can decrypt data. Hence, always use a mixture of encryption and other security techniques to achieve comprehensive security. Malware has evolved enough to avoid certain detections. But you can stop it by monitoring your outgoing network traffic. Alerts should be raised if you find that there are more number of outgoing connections or increased traffic than usual. It could be an email engine that is spamming actively or your sensitive data being stolen. 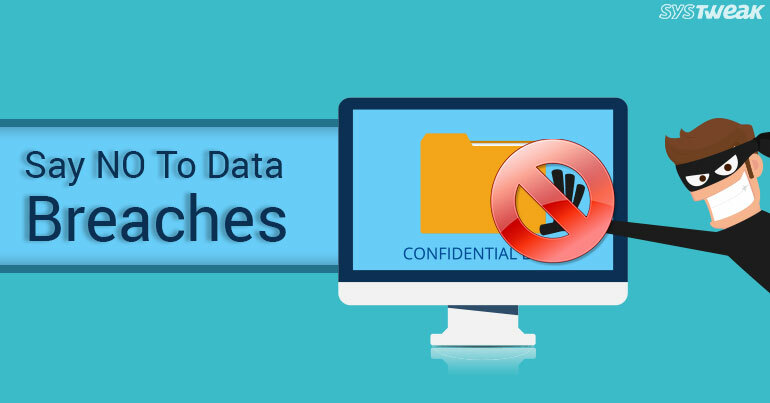 These tips are super-easy and effective in stopping security breaches. When collectively implemented, it makes hacking a hard nut to crack.